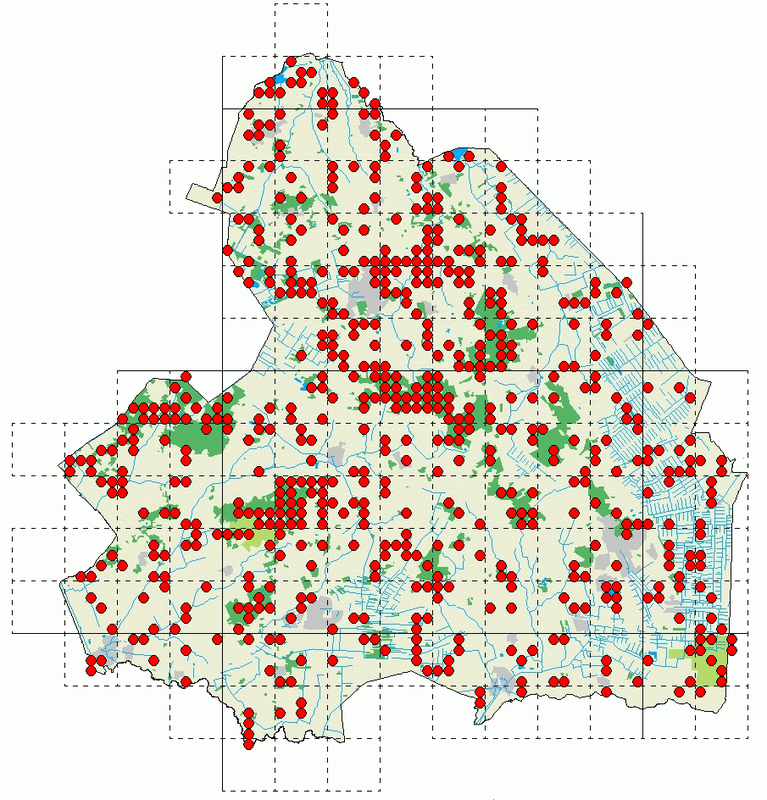 In 2007 I started a survey of the desmids of the Dutch province of Drenthe. The final goal of this project is to create distribution maps of all species found in this province. In the map (figure 1) you can see from which 1x1 km square I collected data until June 2017. 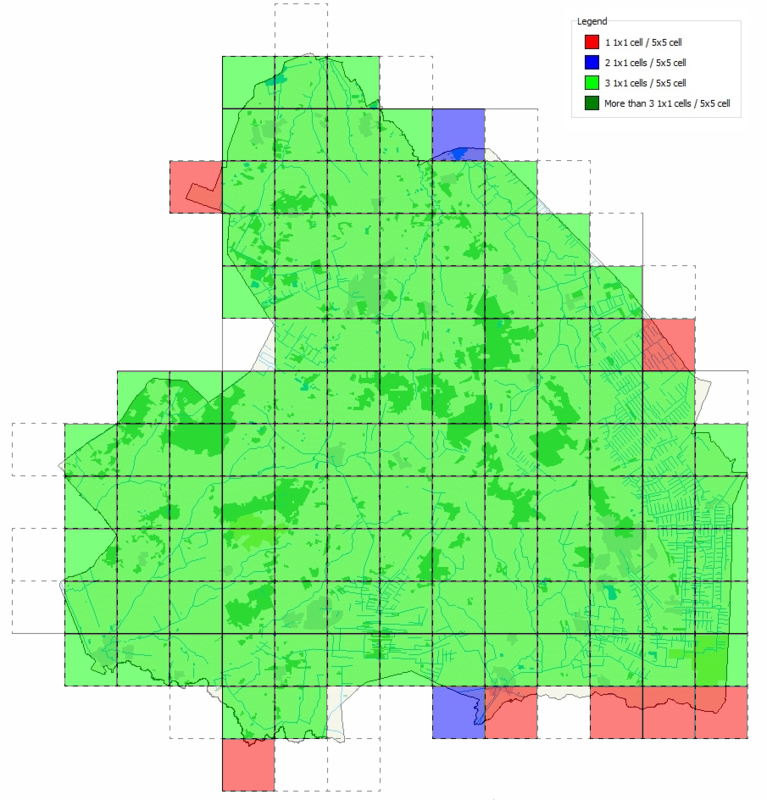 Some 1x1 km squares contain several ponds, moorland pools, bog hollows and fens, while others are agricultural areas without any natural waters. As the amount of desmids in ditches, canals and other organically polluted (eutrophic) waters is normally quite low and the amount of ditches and canals in certain parts of the province is quite high, I decided to skip those waters in the survey. So the map of examined squares is yet far from complete, and never will be filled completely. 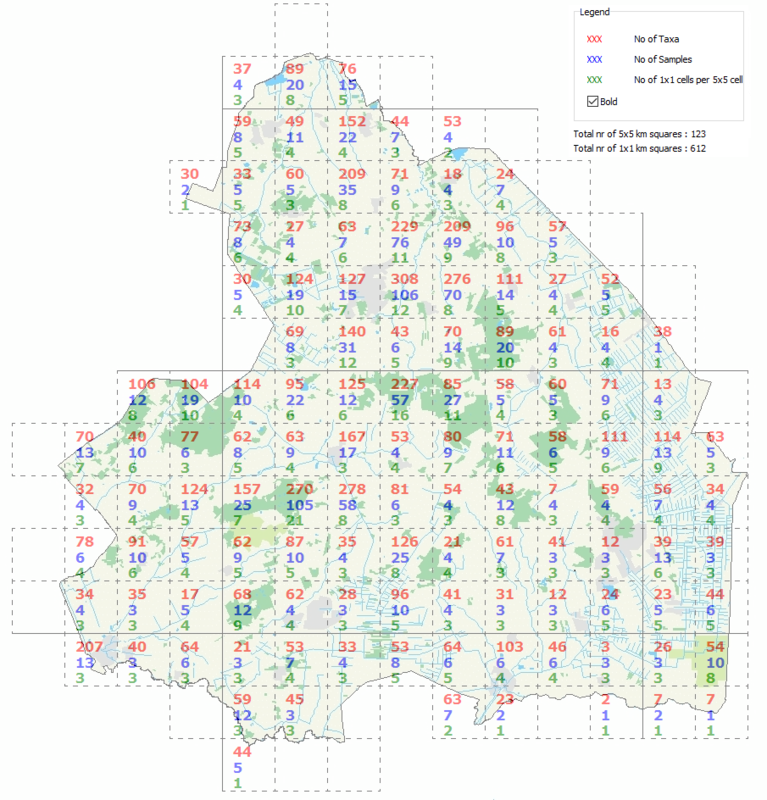 In figure 2 you can see how well the 5x5 km squares are covered till June 2017. My aim is to get samples from at least three 1x1 km square per 5x5 km square (12%). As you can see that goal is almost reached. At this moment even about 20% of the total amount of 5x5 km squares is visited. Note: 1x1 km square is 'kmhok' in Dutch and 5x5 km square is 'uurhok'. Figure 3 gives more detail about the coverage and also shows the differences between the 5x5 km squares as far as the number of taxa is concerned.